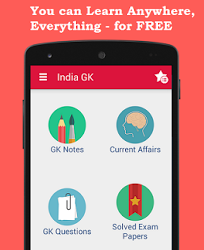 16th August 2016 Current Affairs MCQs, Quiz, Questions: Current Affairs for August 2016, Daily Multiple Choice Questions (MCQs) for India GK, World GK and current affairs with Collection of daily objective type Question by www.Indiagk.net based on General Knowledge (GK) and General Science (GS) Questions for UPSC, State PSC, SSC, Police exam, Railway exam, SBI, Bank PO, IBPC, SSC, LDC, UDC, Army, Airforce, Navy, Coast Guard, Bank Clerk, TET and all entrance examination with current affairs News, Multiple Choice Questions (MCQs) available on Website www.IndiaGK.net and Android Apps with daily updates:. Who was honoured (posthumously) with Ashok Chakra on the eve of Independence Day ? India rank which place Global Innovation Index 2016 ? Lukas Podolski, who announces Retirement From International football is from which country ? Which state legislature hold special one-day session to ratify GST Bill on 16th August 2016?